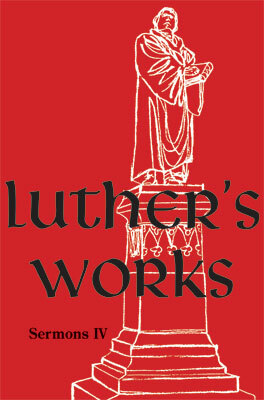 Volume 57 of Luther’s Works contains a selection of Luther’s preaching between May 1531 and June 1539. 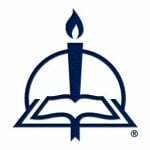 These sermons exhibit Luther’s understanding of the Trinity and Christology, Law and Gospel, justification, Baptism, the Christian life, marriage, ordination and ministry, and eschatology. These topics reflect, in part, the circumstances of the Evangelical church in the decade after the Augsburg Confession—and its rejection by the papal church—as Luther and his colleagues sought to defend the Gospel and to define its consequences worked out in the life of the church and of individual Christians. The selection of sermons also reflects the interests of Luther’s contemporaries and his students of the next generation: included here are most of the sermons from these years that found their way into the press during Luther’s lifetime or posthumously before the end of the century. Rev. Dr. Benjamin T. G. Mayes, general editor for Luther’s Works, points out that many of the sermons during this time period were topical rather than expository in nature. “This volume includes Luther’s sermon on the thorough distinction of Law and Gospel from 1532,” Mayes says. “This sermon was so influential on American Lutherans, and it now appears in its originally published form with the later expansions indicated in footnotes.” In addition, there are ordination sermons from 1535 and 1539 which show Luther defending the new practice of centralized examinations and ordinations of pastoral candidates in Wittenberg, as well as his Sermon in Torgau (1533), which is cited by the Lutheran Formula of Concord (1577) as an authoritative explanation of the doctrine of Christ’s descent into hell. Luther Works, vol. 57 (Sermons IV) provides readers with accurate and clear translations of Luther’s topical sermons coupled with the careful, explanatory introductions and footnotes that have become a hallmark of Luther’s Works: American Edition and that further expand this rich treasure of biblical commentary and theological insight.